The perfect mix of comfort and charm! This 5 bed/3 bath home consists of a three way split floor plan and is filled with natural sunlight throughout. The owners have installed classic plantation shutters on all windows, hand scraped wide plank hardwood flooring with tall baseboards in all main living areas, new carpet in all bedrooms, fresh paint inside and out, new A/C in June of 2017 and NEW ROOF in December 2017. The kitchen features crisp white cabinetry, granite tops, gorgeous backsplash and Frigidaire Professional Series Stainless Applicances. Screened, tiled lania that overlooks huge backyard and conservation where you can sip your morning coffee to the sights and sounds of nature. The formal living room at the front of the house makes a perfect office. Save on your water bill with a separate meter for irrigation. This inviting home sits on a 1/2 acre private, fenced lot and backs to conservation with plenty of room for the pool of your dreams. 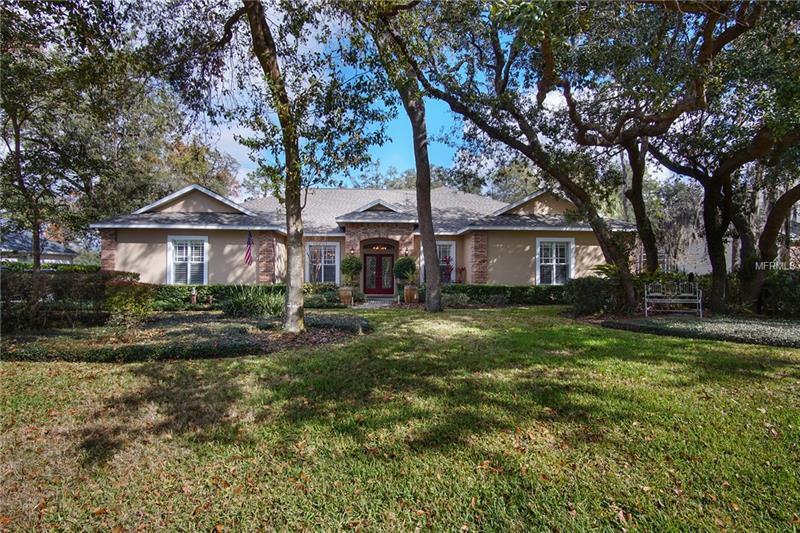 Located in the 24 hour gated, guarded community of Fish Hawk Trails with miles of trials, playgrounds, tennis courts, clubhouse, great schools and amenities close by. Make this your new home today!! Pet Restrictions: Verify with HOA docs.